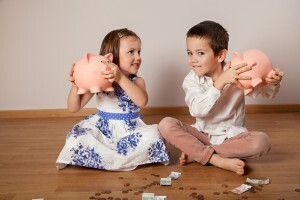 How will your kids be able to afford to buy a property? And what can (should) you do to help them? My sons will turn 10 in January next year and I worked out the Melbourne median price could be circa $1.4 million by the time they are 20 years old. This means that a 10% deposit plus stamp duty will cost them over $200,000! Where will a 20 year old get that sort of money as a deposit? As a parent, what can (and should/shouldn’t) I do to help them? It is really important to teach children some important lessons about money whilst they are young so that by the time it comes to buy property, they exhibit all the correct disciplines. 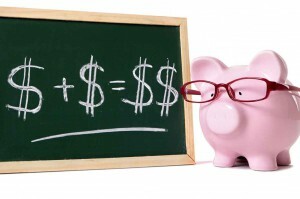 Always spending less than you earn so that you are able to save and invest for the future. Consider the 50%, 40% and 10% rule… which involves saving 50% of their pocket money, spending 40% and donating 10%. How saving towards a long term goal is necessary for almost everyone and that it’s very rewarding – help them set a goal and save towards it. The power of compound interest. That is, starting early and saving regularly e.g. if you start saving $100 p.a. 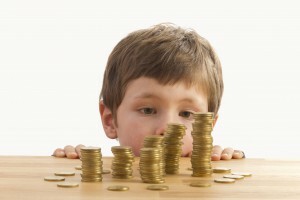 at age 10 you will have $43,500 by age 60 whereas if you start at age 35, you’ll only have $6,900. There are some great tips on the Australian government’s Money Smart website. We need to remember that there has never been a time in recent history where property hasn’t seemed expensive. Most of us struggled to buy our first property but we did it. We compromised on what our “first property” looked like – and where it was located. We worked hard to start climbing the property ladder. Talk to your kids about that. Tell them how hard it was. Tell them how much it helped you. Children role model a lot of behaviour from their parents and sharing your struggles will help them learn from your successes and mistakes. It will prime them to learn that buying a property is important, buying a property is difficult and buying a property requires some short term sacrifices and hard work. If your kids are still quite young should you buy something for them now? Sometimes I meet clients who want to buy an investment property for each of their children. This might sound good in principle, but might not necessarily work well in practice. 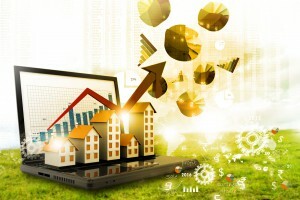 Firstly, properties grow at different rates so how will you deal with any differences in value? What about the capital gains tax and stamp duty consequences which may crystallise when you transfer/sell/gift the property to them? In addition, you might not want to help your kids in the same way at the same time. For example, if one of your children has some money management concerns or an addiction, gifting them a significant amount of wealth probably isn’t in their best interest. In short, if helping your kids is something you might want to do in the distant future then it’s very difficult to make plans now given the high level of uncertainty. Instead, the best approach is to look after yourself first. Make sure that your financial future will be well provided for. If you take action today and do everything possible to build wealth safely, then there’s a good chance that you will be in a strong financial position to help your children if and when the time is right. Invest for yourself first. The first property a person buys is the most important property they will ever buy in their life. The reason is that if they get it “right” and select an investment-grade property, it will propel their financial position forward. 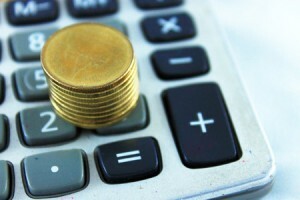 However, if they buy a dud, it might end up being more of a liability than an asset. Get your child to read about the 3 things that investment-grade property must possess. It might be nice for your child to be able to afford a top quality investment-grade property in a blue chip suburb. However, if that is too much of a stretch then they might be better off buying something more affordable – albeit in a slightly inferior location. When you climb the property ladder you often have to start from the bottom. There’s nothing wrong with starting small and working your way up. It is possible to find investment-grade property for upwards of $450,000. 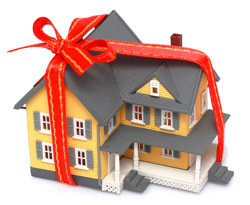 You can help your child buy property by supporting them with a deposit and/or cash flow. I discuss each option below. I appreciate that saving enough cash for a deposit can be very difficult. 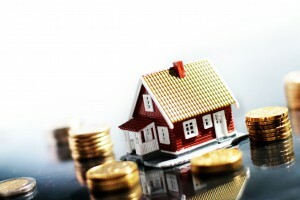 Property prices can often increase at a faster rate than a person’s ability to save. In this case, a property purchase becomes more and more out of reach. 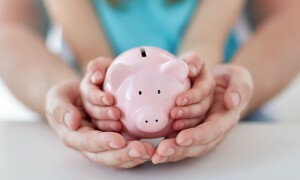 Helping your child overcome the deposit hurdle can be a very valuable thing indeed. However, in my opinion, it’s important that they can afford the loan in their own right (from a repayments perspective) before you offer assistance. That is, firstly, they need to have sufficient surplus cash flow to meet the loan repayments now and in the future when interest rates rise. Secondly, they need to have sufficient financial stability to warrant taking on a large commitment such as a loan. For example, some younger people can be rather transient and/or uncertain about what they might be doing in the future employment-wise. If this is present they might not be ready to commit to a property acquisition. A child has to “want” to buy property themselves. If you would like to help your child with a deposit, there are a few options that you can consider to help you do this. You can request the bank to release the guarantee when the property’s value increases and/or the loan amount reduces to such a point that the loan to value ratio is less than 80%. In our experience, this typically occurs within 5 years. Of course you need to think carefully before providing any guarantees as you are at risk of having to pay the guaranteed amount in the event your daughter defaults on the loan. You can borrow the required amount and on-lend it to your daughter. Using the same example, your daughter needs $588,000 whereas 80% of the property’s value is $480,000. Therefore , if you lend your daughter $108,000, she will only need to borrow 80% from the bank and she’ll avoid mortgage insurance. Your daughter will need to prove to the bank that she is able to service both loans i.e. the $108,000 you lent her and the 80% loan. The advantage of this structure is that you don’t have to provide a guarantee which voids some paperwork and perhaps legal costs. 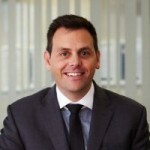 You can loan your daughter money from savings or perhaps your SMSF (if it’s from your SMSF you must ensure its lent on commercial terms and you don’t breach the 5% in-house assets cap – get advice). Given term deposit and cash interest rates are very low at the moment, parents (particularly retirees), might be better of lending money to their children and enjoying a higher interest rate. You may like to co-own the property with your daughter. Since she is short $108,000 in cash you could use your own funds and own 17.5% of the property (as tenants-in-common). The advantage of this option is that your daughter isn’t responsible for your share thereby reducing the cost of servicing a higher loan. 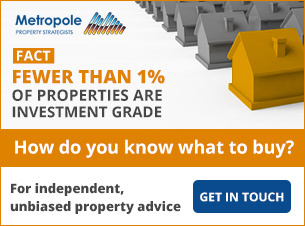 However, one major downside is you will trigger stamp duty and capital gains tax in the future if or when you sell/transfer/gift your 17.5% share in the property to your daughter. I would think very carefully about co-owning property with a child as it can be expensive to unwind and difficult for your child to use the equity in the future. You can gift $108,000 in cash to your child. If you choose this option, please read my comments below under “protecting your family’s wealth”. One thing that you should consider is making sure that your child has enough “skin in the game” as coined by Warren Buffett. That is, it is a good lesson and motivator if you require your child to contribute a meaningful amount of cash as a deposit. Doing so will likely force them to think very carefully about making such a commitment and ensure they take full responsibility for the financial outcomes. This form of assistance might be necessary if you would like your child to buy a property but they cannot afford to service the loan amount required to do so (because they don’t have enough income). From a professional financial planning perspective, I have a problem with providing this level of assistance as I believe that you are teaching your child the wrong lessons about borrowing. We should be teaching our kids to borrow well within their affordability limits – not the other way around. Debt is a wonderful servant but a terrible master. Putting that professional concern aside, if you do want to assist with cash flow, lenders will want you to act as a co-borrower and want you to have a material amount of ownership of the property (i.e. 10% to 20% on title as tenants-in-common). As a co-borrower you will be jointly and severally liable for the entire debt. Also, being on title may be costly to change in the future as mentioned above. On the whole, I don’t like this option and believe that if your child cannot qualify for the required loan amount by themselves, then they should not borrow. Imagine helping your child buy a property. They then enter into a relationship with a domestic partner and cohabitate. The relationship subsequently breaks down and the partner instigates a family court action seeking to split assets on a 50/50 basis. In this event, your family risks losing 50% or more of any assistance you have provided your child. There are a few things you can do to protect your family’s wealth and you should seek professional advice. Firstly, if you are providing any cash as a deposit, make sure its structured as a loan, not a gift, so that it’s a personal liability to your child. You might secure this loan with a caveat over the property to formalise it. Secondly, educate your child about the merits of arranging a cohabitation agreement (which is like a pre-nuptial agreement) to protect the assets that they had when they entered into the relationship. On a completely unrelated matter, if you have helped one child but not the other/s (because they are not all of age yet), you might consider including an offset clause in your wills so that your executor can equalise the distribution of your estate. 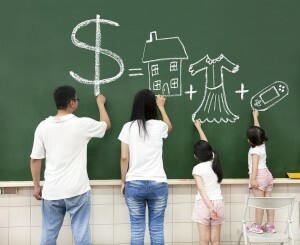 Educating your children about money and investing (including investing in property) can be one of the most valuable lessons a parent can teach their children. 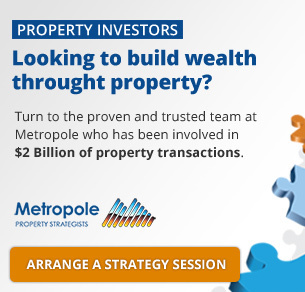 Helping them buy a property as soon as practical and sensible will have significant positive compounding effects on their financial standing. However, there are lots of pitfalls and considerations to take into account so don’t hesitate to reach out to us for a confidential discussion if this is something you are thinking about.